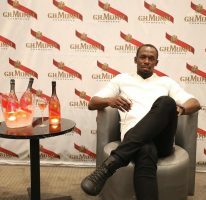 TRELAWNY, DECEMBER 26 Usain Bolt was back in his hometown, Sherwood Content on December 26 (celebrated as Boxing Day) on the grounds of Piedmont Basic and Waldensia Primary Schools where he was on location to host 200 children. 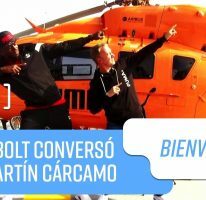 Bolt under his Usain Bolt Foundation banner, partnered with Digicel, KFC and his team to treat the children to a day of fun and frolic. 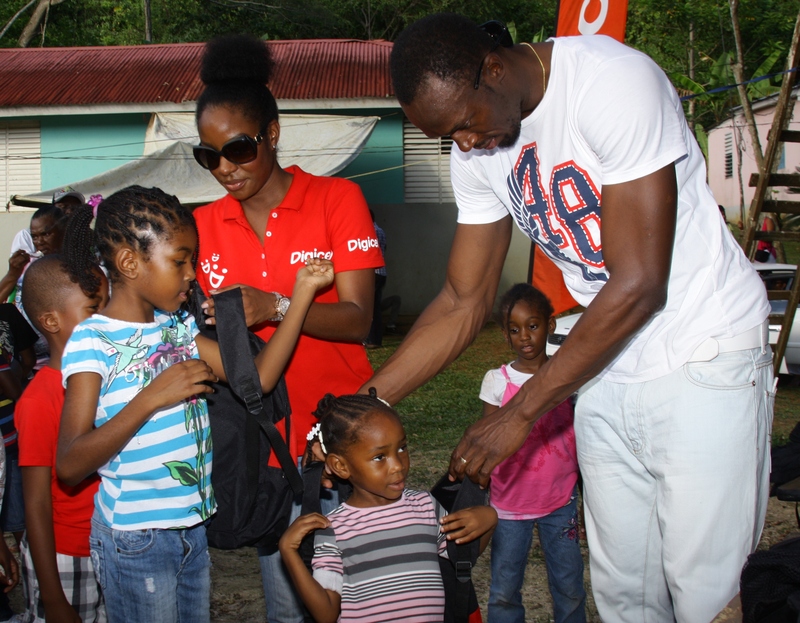 The IAAF Athlete of the Year and Digicel Ambassador handed out gift packages to the children and worked his way into the crowd, sharing with a wide cross section of those who attended. The children targeted were the ones up to 12 years of age. 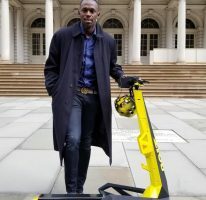 Usain’s two year old Foundation supports 13 charities in Jamaica and supports numerous events worldwide all aimed at enhancing the lives of children including the Cardiac Surgery Programme at the Bustamante Hospital for Children and five primary and basic schools in Portland. The gift packages included a backpack with reading and colouring books, crayons and water bottles. In addition to the gifts, the children were treated to a variety of games, rides and refreshments.